India is set to produce at least a dozen billionaires and many more millionaires by 2020, thanks to the country’s burgeoning startup scene in e-commerce, financial services and other tech driven sectors, an Assocham study has reported. 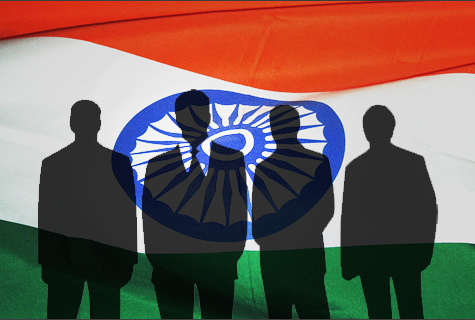 “India will be among the top Asian start-up giants, along with China and South-East Asian countries. However, even as the structural problems in China are likely to create roadblocks for the startups there, no such issue confronts the Indian startup”, the report stated. The study comes soon after Flipkart‘s cofounders, Sachin and Binny Bansal, became billionaires thanks to the latest round of funding into the company. According to the points made in the study, e-commerce, music and entertainment, payment gateways and radio taxi services are going to yield maximum value. The online travel sector, especially ticketing and booking, has already reached a certain level of maturity. Within the e-commerce sector, a lot of verticals beyond fashion, apparel, and grocery and gadgets are going to be created. Online food orders and cinema ticketing services are already catching people’s fancy. With wider internet penetration in small cities and suburbs, the trend is bound to become more popular. Untapped areas of online businesses are e-coaching, medical consultation and social networking in the cities, the study noted. “Even though there are question marks on the kind of valuations some of the startups command, at least in India, we do not see any bubble like situation and the interest from the angel investors is expected to continue,” Assocham Secretary General D S Rawat said. Although the market regulator SEBI is working on a friendly regime for startups to raise finance from bourses, it would take some time to before funds are raised from this channel. “The angel investors include some of the top industry leaders like Ratan Tata, Azim Premji and N R Narayan Murthy. Their presence would certainly have a moral pressure among the entrepreneurs who would like to stay put and prove their mettle rather than make quick bucks,” the study said.